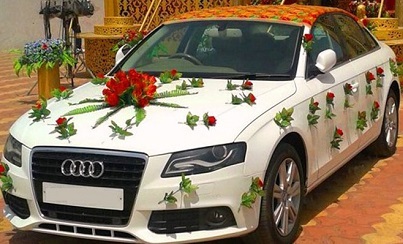 Hire Wedding Cars Rental Delhi. Wedding Cars in Delhi from Comfort My Travel. Hire Wedding Car from us and get Luxury Wedding Cars at affordable rates. We believe in arriving and not reaching. A BMW or Audi surely makes a lot of difference. Our drivers are always on time and wait patiently for you and your loved ones. Hire Wedding cars not only in Delhi but beyond Delhi as well. Rent a car for Marriage with us and get Luxury Wedding cars at affordable rates. We believe in Arriving not reaching. A BMW or an Audi surely makes a lot of difference. Our drivers are always on time and wait patiently for you and your loved ones. We have an entire fleet of cars solely for Marriage booking under our wedding car rental services. Book Wedding Cars, Buses, & Tempo Travelers for guests. We offer wedding cars rental services of branded cars like Mercedes, Audi, BMW, Honda, Toyota, and Hyundai. These luxury wedding cars come with well-groomed drivers and beautiful decorations. Book Wedding Cars from Comfort My Travel & we will makes sure you arrive at your Marriage Venue in style. Rent Wedding Cars both luxurious & economic for your hot entry at the wedding venue . 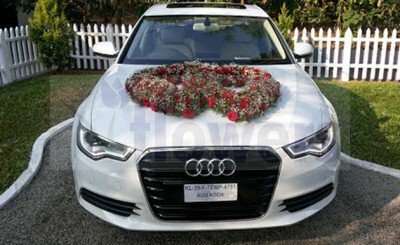 Beautifully decorated wedding cars on demand only for you & your loved ones. Rent wedding cars for in-city travels as well as outstation wedding venues.